Somewhere far away, perhaps in Iran, the storm lifted several centimeters of soil into the air, and with them – the hopes of farmers for the harvest, full of winter, next installments for land mortgage and education of children… This would not happen if the fields were left would have a tree windbreaks area of 20% of the land to be plowed. But in the pursuit of new harvests, the land owners decided to take risks… Almost similarly, “virgin” Kazakh virgin land flew into the air with black storms. 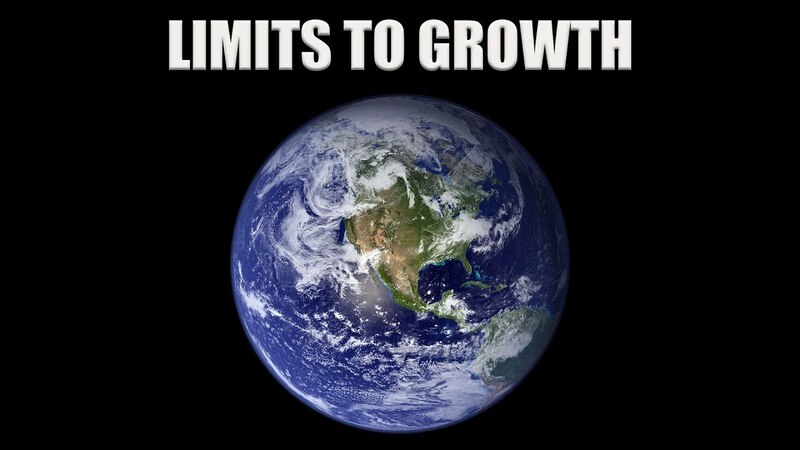 “The Limits to Growth” – the so-called book based on the same report to the Club of Rome, which revolutionized futurology. Then, approximately the same team of authors wrote the book “Beyond Growth” and “The Limits to Growth: 30 Years Later” (the figures in this chapter are mostly taken from the last book). 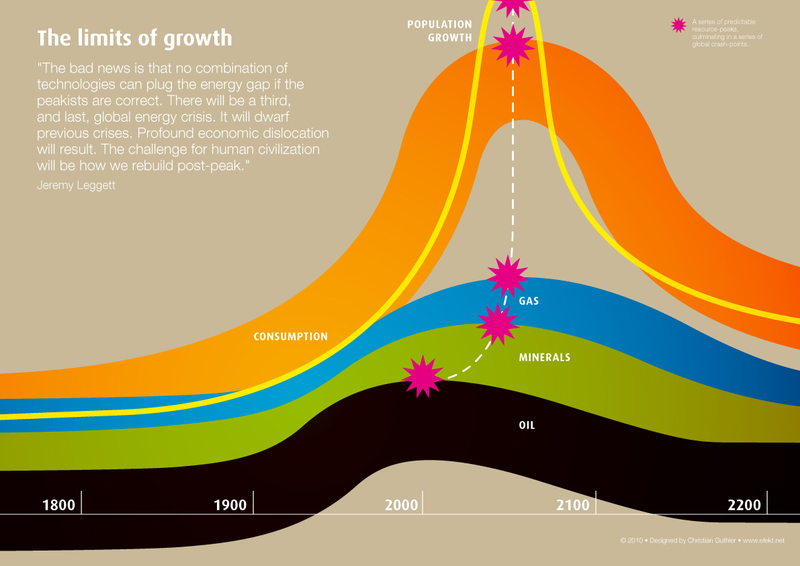 If in the first book its authors assigned 50 years to the course of development of human civilization (until 2022), then the conclusion was found in the latter: the limits of growth have already been overcome and the catastrophe of modern civilization in the next two to three decades is inevitable. Is it so? Let’s think together. The first one about the resource disaster was Malthus. And he was absolutely right – indeed, if the resources are limited, then sooner or later they will end. In the opinion of his critics, he did not take into account only one thing – other resources come to replace one resource. For example, instead of fossil fuels, renewable energy sources – biofuels, sun, wind, tidal energy, geothermal energy and so on – can be used. Some still lead such an argument to refute the theory of Malthus. And they are wrong. Because the limits of development in a complex system of our planet is virtually an infinite number and one new one is replaced by a new one. We can find a way to produce as much energy as possible on the planet; but we cannot implement it. All the energy produced eventually becomes heat and causes the atmosphere to warm up. How to estimate the limit of energy allocation that mankind can afford to not spoil the habitat? Suppose we can allow a constant increase in the average temperature of the planet per year by 0.1 ° C. Although many scientists will say that this is also very much. But even then, mankind can allocate in the form of heat only 0.175 × 10 ^ 15 J / sec. This is about 15 times greater than it stands out at present. Do we have enough energy? Now the United States consumes about 25% of the world’s energy, with 4.5% of the world’s population. To make the entire population of the planet equal to the US energy supply, we need to produce about 20 times more energy than now, that is, to go beyond the overheating of the atmosphere. But in fact, energy will be needed even more, because as long as we increase energy production, the population will also grow. So Malthus was absolutely right. Simply after one redistribution there is a new one and it is impossible to overcome them to infinity by technological methods. We found ourselves in the first impasse we are considering – the dead end of the heating limit of the atmosphere. This is the first impasse of the evolution of mankind, but far from being the only one. Economist Herman Daly suggested once three simple rules that allow us to determine the limits of sustainability for the flows of raw materials and energy. For renewable resources – a sustainable rate of use cannot exceed the rate of self-recovery of these resources. For non-renewable – steady consumption rate cannot exceed the speed of introduction of technological innovations, that is, the speed at which a renewable resource comes to replace a non-renewable resource. For contaminants – the safe rate of their entry into the environment cannot exceed the rate at which the pollutant will be neutralized by the environment. Three rules, Daly tried many times to refute, but so far – unsuccessfully. It would seem that it is enough to put in the “rules of the Daily” the “human factor”, to shift the functions of nature to machines created by man – and the infinity of resources will be achieved. But in place of one limit there will be another. Below we will consider such an option. Trying to express the limits of the development of mankind in figures, scientists introduced the concept of ecological capacitance of the planet Earth and the “ecological trace” of mankind. Ecological capacity is the quantitatively expressed ability of the habitat (the number of individuals per unit of territory, the limits of the possibilities of the environment during economic development of the territory, etc. ), which allows the ecosystem to exist without detriment to its constituent components. Overcoming these limits leads to disruption of stability and destruction of the ecosystem.